Domaine Robert Ampeau is located in Meursault and produces wines in that appellation as well as neighboring appellations. This is a father and son endeavor that only releases their wines when they are at their best and ready to be enjoyed. It is a treat to have access to properly cellared and mature wines. 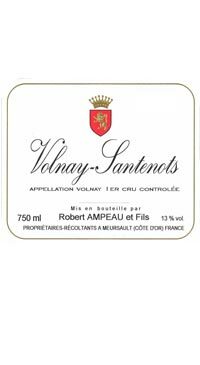 Robert Ampeau’s wines are known for developing slowly and lasting for ages. The 1993 vintage in Volnay was deemed exceptional. This Volnay 1er cru entices the senses with its aromatic complexity and depth. Red fruit, humus and spice. The palate offers a silky texture with soft mature tannins, red fruit, woodsy notes and juicy acidity.